Hello, amazing poets! WhimsyGizmo here, and it’s my personal favorite day, Quadrille Monday! Today, I want us to drift about our poems using the word balloon. Pen us a poem that’s full of hot air. Helium up something funny, or sad, or whimsical. Noun, verb, adjective, or a compound word like balloonman – the sky’s the limit. Just make sure it’s exactly 44 words long (not including the title), and contains some form of the word balloon. Just write a poem of precisely 44 words, including the word balloon. Link it up by clicking Mr. Linky below. Then float about awhile and visit some of the most talented poets around. The prompt is open for the whole week, so remember to come back and read (and write!) some more! Hey there, intrepid poets! We’re glad you floated over. Hope you find some inspiration here. Now…poem til you pop! I’m pouring chai tea (hot or cold), and helium sunrises (some delicious rum thingy of my own making.) Cheers! And happy writing. Oh, HEAVENS. This just made.my.day. Thanks, B! Love balloon… I have a wonderful memory of a balloon from my childhood… had to share that one. I was mostly a terrible brother, but this was a good moment. An article in yesterday’s paper compelled me to pen a rather sad one. Maybe I can come up with something more joyful–that’s what balloons mean to me. Victoria, that story broke my heart (as it should.) I hope writing about it gave you some release. Now when you start talking balloons …. Yay… Pooh is perfect for the day. Thanks for hosting! I entered one about a balloon wanting me to let it go. I guess I was thinking of popping it so I can see how it might have preferred that alternative. I wonder what sort of ecological damage that might have caused. Isn’t it sad that we never knew how much our loosed balloons were impacting the environment? Sigh. I do love a challenge! I posted one in which all (I think) the words are used, except that one of them became the title. I wondered where all those words came from! I might give it a try. Very nice song. I remember the English version. Hi fellow quarillers! I back for some thrillers 🙂 Look forward to reading. Hey De, you got any white sangria back there? Seems like a balloon-appropriate libation, perhaps in a Piglet sippie cup to keep in the spirit of things? Balloon(y) fun prompt. I’m in. Off to do all the words next. An excellent job, especially with all the words, Paul. It’s getting so hard to use them in creative ways I haven’t before. I am still struggling with that one, today. It is getting tricky. I’m not looking at previous attempts so there may be repetition. What a bright, bouncy, prompt. I’m going to rub it on my jumper and stick it to the ceiling. Kind of obligatory in our house for a while. Loved it, Sanaa. Glad you’re here! I just got back from an exhausting choir practice in which we recorded our heavy rock version of ‘Happy’: I’m a hot air balloon and I’ll take you to space… So I’m in the mood for balloon poetry. How about some balloon animals? Just please don’t squeak or burst them! Nice to see you hosting here and with balloons! What an amazing prompt this is going to be, balloons – its either hated or loved but with much intensity. E.E is one of my favourites too, and loved the one you shared. Looking forward to writing mine and reading the other lovely thoughts. Hi, Maureen! Glad you’re here! I don’t think it an exaggeration to say “the best poets around.” I’m inspired and yes, lifted, by everyone’s different take on this prompt. Oh and I just love Cummings’ “flowers pick themselves”. Meeeeee, tooooo! His poems make me so happy. Whimsy at its best. Get good rest, paul. We’ll see you back tomorrow. I started off thinking about sending off balloons as symbols of dreams…but then I read the news….another inspiring prompt…I’m amazed we’re almost at 30 posts! Glad you were inspired, Janice! Welcome! Good Evening, I haven’t been feeling well, but decided to play! Our words ballooning into poems. Truedessa, your concrete poem is just perfect! Thank yoU! An awesome word for the quadrille! Happy to see you here, Mish! Just posted my balloony baloney. Thanks, De! Your phrase “balloony baloney” made me realize that one of the side-effects of this prompt is that I finally know how to spell “balloon” correctly. I must have thought there was only one “l” in it like “baloney”. The spell checker kept telling me “baloon” was just wrong. 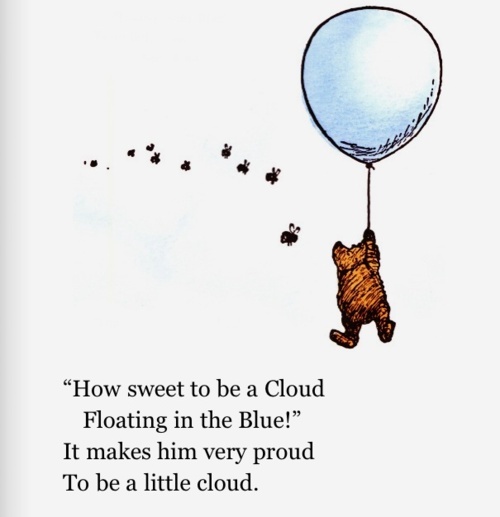 Will add to the fun with a balloon poem…although late per usual. Loved it, Kathy. Glad you’re here! Balloons are one of my favorite things. 🙂 Great prompt, De, thanks for hosting! What a fun prompt! I was going to do something different but ended up with the moon anyway. So many poems to read and so little time I better get started! I am with Frank, I finally can spell balloon correctly after this. Lol! I had trouble with formatting my poem I wanted to leave blanks but the processor had different thoughts. Group hug! Hi, Bekkie! Glad you’re here. What is it about a balloon that makes us think about the moon? Love it! I know, it’s like a big white balloon without a string, yet it sticks around. Lol! This is a fun prompt, and I’m enjoying reading the comments. 🙂 I put mine up, and I may finish one with all of the words, too–because it’s much more fun than doing work. Now off to read the other poems! Happy to see you, Merril! Off to read yours now. I hope you do tackle the one with all the words, too. Quite a challenge! Thanks for the inspiration from this post!